Up until one minute ago, Gurlick was merely a specimen of homo sapiens - and a substandard specimen at that. But now this craven, seething, barely literate drunk has ingested a spore that traveled light years before touching down on our planet, a spore that has, in turn, ingested Gurlick, turning him into a host for the Medusa. The Medusa is a hive mind so vast that it encompasses the life forms of a billion planets, a hive mind that is determined to ingest Earth as well. 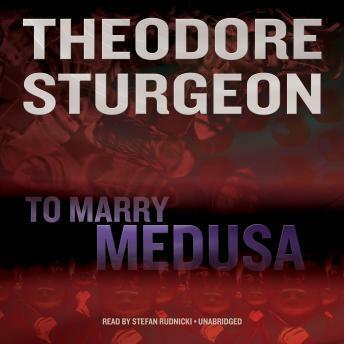 In this mind-wrenching classic of science fiction, the visionary novelist Theodore Sturgeon places humanity on a collision course with an organism of unimaginable power and malevolence and reminds us how much we depend on each other, or even on a wretch like Gurlick.